Intelligent RS-232/CAN low speed fault tolerant converter. Supports operating temperatures between -25 to 75°C. 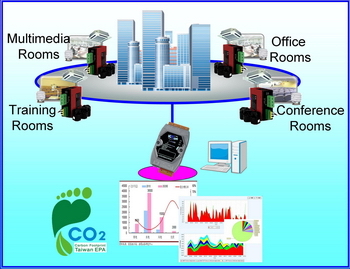 CAN (Controller Area Network) is a serial bus system especially suited to structure intelligent industry devices networks and build smart automatic control systems. The following figure shows the application architecture for I-7530/I-7530-FT modules. The PC can be the CAN host, monitor or HMI to access/control the CAN device through the CAN network by the I-7530/I-7530-FT Converters. 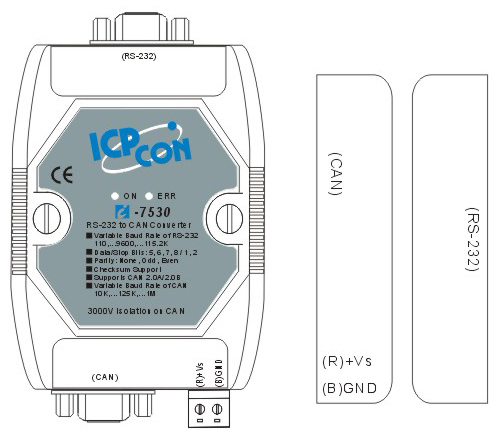 The programmable RS-232 device (For example: I-8411/I-8431/I-8811/I-8831/W-8031/W-8331/W-8731 embedded controller) can use the serial port to connect to the CAN network via the I-7530/I-7530-FT modules. 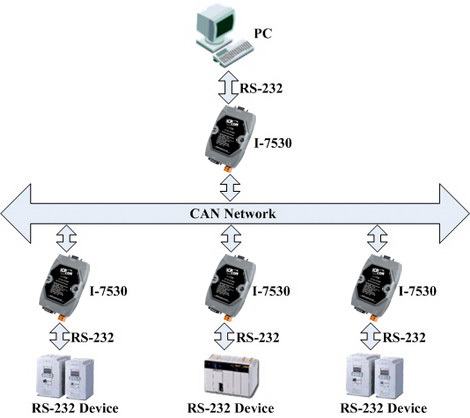 In order to use the CAN network with traditional RS-232 devices, we provide a way to achieve this purpose. 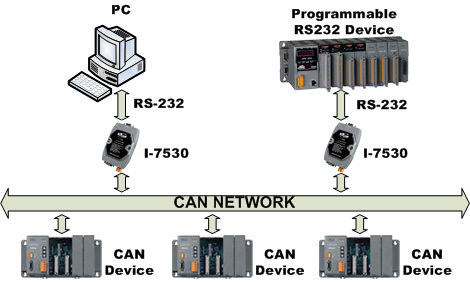 The I-7530/I-7530-FT are designed to unleash the power of CAN bus via RS-232 communication method. 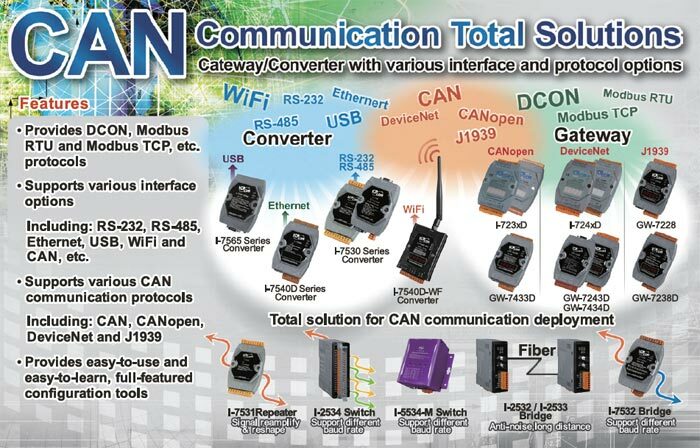 It accurately converts messages between CAN and RS-232 networks. This module let you to communicate with CAN devices easily from any PC or devices with RS-232 interface. Moreover, we expand the functionalities of I-7530/I-7530-FT for some special application. 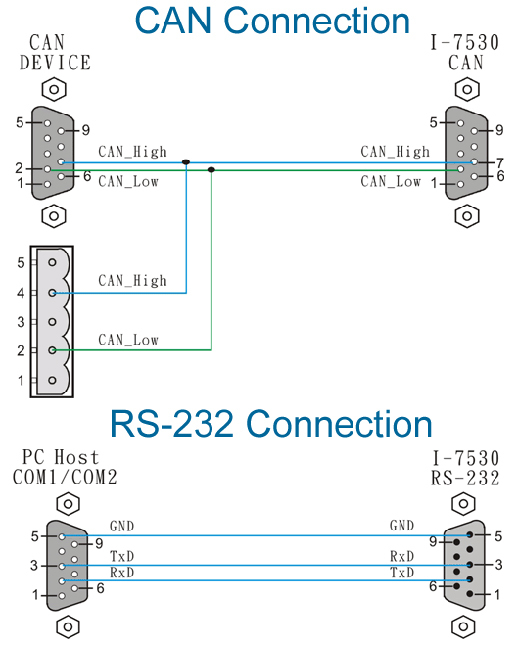 In pair connection mode, I-7530/I-7530-FT can be used to connect PC with other RS-232 devices at the same time. The application architecture may be as follows. 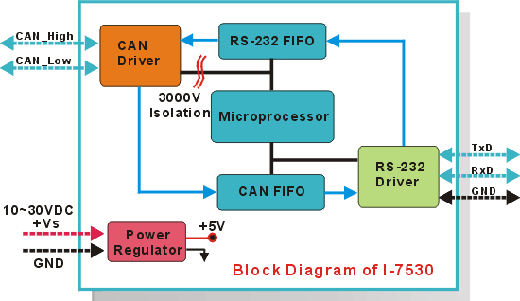 The CAN port of I-7530 is an isolated with 3000V isolation. This isolation can protect the local RS-232 devices from the damage signal coming from CAN network. The watchdog is a hardware reset circuit to monitor the operation status. When working in harsh or noisy environment, the I-7530/I-7530-FT may shut down by the external signal. The circuit may let the I-7530/I-7530-FT to work continuously and never halt. There are two indicators on the I-7530/I-7530-FT.The power indicator can help user to check whether the I-7530/I-7530-FT is standby or transmitting/receiving messages. The Error indicator will be turned on when some errors occur on the I-7530/I-7530-FT. There are various communication interfaces among the CAN devices like PCI CAN board, Ethernet series and RS-232 series CAN module. According to different purpose of users’ projects, the users maybe need to choice different CAN products. Because of this situation, the programmer should develop different communication program to handle different CAN device. For example, the user should develop “Socket Client” to communicate with I-7540. When using I-7530, the users need “UART” technique to communicate with it. Nowadays, ICP DAS develop the Virtual CAN technique. The Virtual CAN driver is the excellent tool for users. 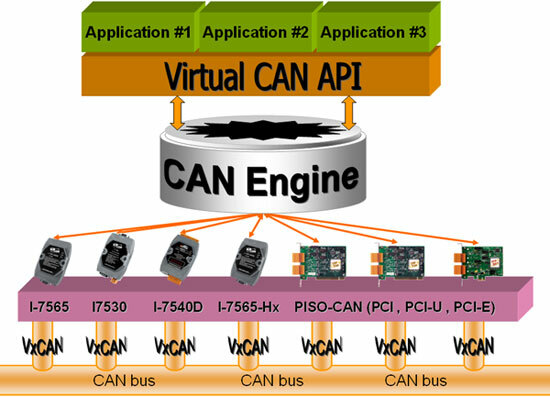 It transforms whole CAN devices into Virtual CAN port. And then it generates Virtual CAN port like “VxCAN 1” or “VxCAN 2”. 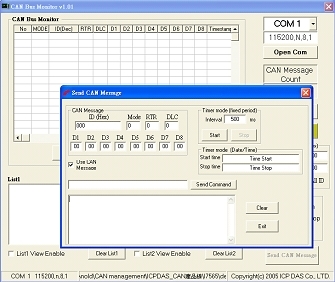 The users could send and receive CAN message by appointing the Virtual CAN port number. The users don't need to care about what kind of CAN device which is used.